Do you ever really feel like you've “got it together”? Or do you feel like you are on the hamster wheel of life- running around constantly without actually getting anywhere? 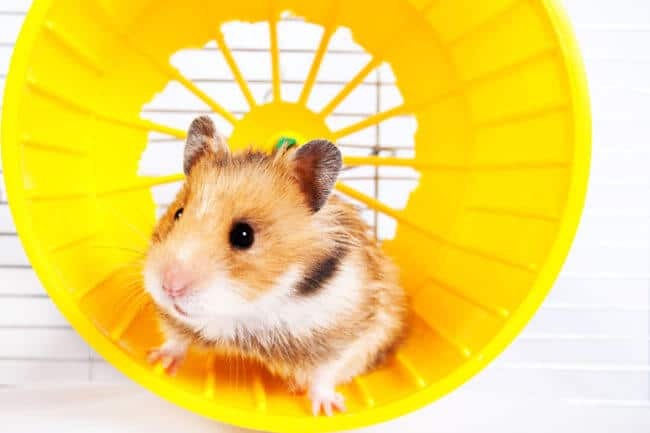 Hamster wheel? I know. I get it. I've been there too. You know back when we were just starting this motherhood gig- we never imagined how completely overwhelming it would feel at times. How challenging it would be to stay on top of our family's schedule, managing the logistics of getting everyone to where they need to be (and on time! ), helping with homework, and delivering some sort of a healthy dinner to the table each night. Challenging AND overwhelming. Whether you have one child or a dozen- being a parent means that you have A LOT to juggle. And you can let it drown you, or you can learn to swim (as Dory says, “Just keep swimming, Just keep swimming…”). Which is why you need a game plan for managing your life. You need routines and processes, you need to have a system to manage your schedule, you need a way of staying on top of all of those emails and school flyers and invitations and commitments. You need a plan to tackle the clutter and keep things organized so you can find what you need when you need it. 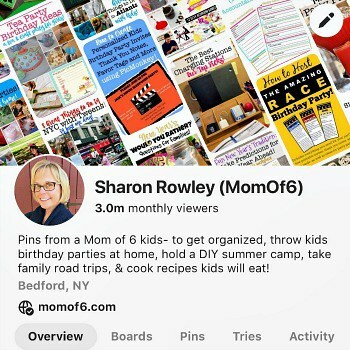 Quite frankly- you could use a little Busy Moms Boot Camp! 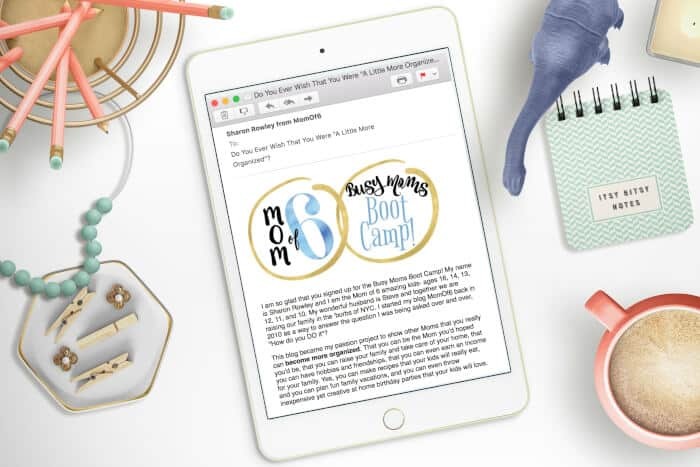 Busy Moms Boot Camp a free series of 10 weekly emails that can help you put some organization back in your life and help you to create room for all of those things that you'd like to be doing- whether that's making time to celebrate the little things with your family or carving out some space for yourself. 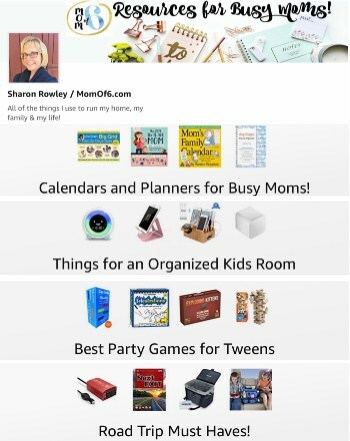 Register for Busy Moms Boot Camp now and start making the move from overwhelmed to organized!